This year's annual general meeting (AGM) of the Dominion Newspaper Cooperative (commonly known as the Media Co-op) is rescheduled to take place Sunday March 31st, 2019. An AGM was scheduled for March 9th, and good discussion was had, but quorum was not reached, so the AGM has been rescheduled. A motion to amend a number of bylaws has also been added to the agenda (item #8). 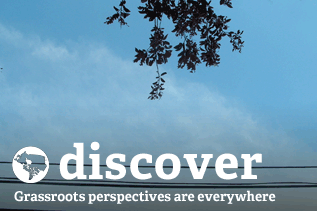 Exciting things are happening at the Co-op, including a website redesign process, and we will give updates at the AGM and discuss ways to get involved. 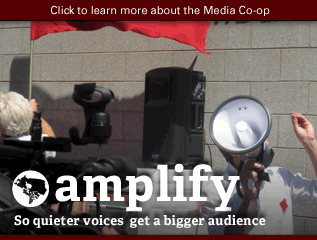 1) Motions: If there is something you'd like to have discussed during the AGM, email us at info@mediacoop.ca with the subject line "Proposed AGM Agenda Item." The deadline to send in agenda items is Sunday March 24nd, though additional items can be proposed for consideration at the AGM. The bylaws of the Co-op have not been updated in several years, and there have been some changes in the organization. Importantly, local chapters are no longer active in practice and were declared inactive at the 2018 AGM, but the bylaws assume local chapters exist and are active. Also, the existing bylaws were made for a time when many people were putting in many hours a week working on the Co-op. That isn't the case now, and the board of directors is smaller. We have tried to make the changes to the bylaws to reflect the new reality in terms of how membership is defined, and the composition of the board of directors. For each bylaw (numbers 14, 15, 31, 36, and 42), the existing text can be seen below under each "From:" and then the new proposed text follows under each "To:". Changes are underlined in the new text. a. 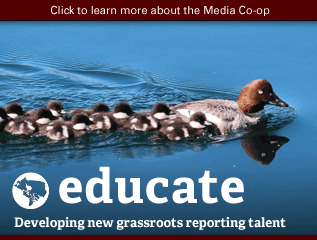 Each Managing Editor Member must have worked (not necessarily paid work) for at least 10 hours a week for the Co-op for three months before becoming a member. b. 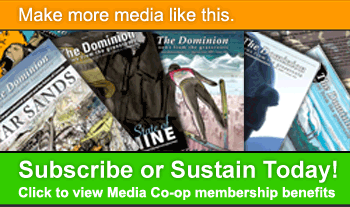 To maintain their membership, Managing Editors must have day-to-day involvement with The Dominion, Media Co-op and/or Local Co-ops with breaks away from the organization lasting no more than three months, unless a being granted formal exemption for up to six months as approved by the Board. c. Each Managing Editor member must support the objectives of the Co-op and pay an annual membership fee as set by the board of directors. a. 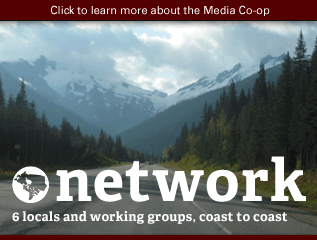 Each Managing Editor Member must have worked (not necessarily paid work) for at least 10 hours a month for the Co-op for three months before becoming a member. b. 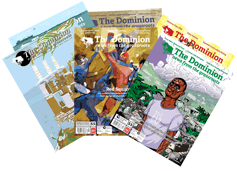 To maintain their membership, Managing Editors must have day-to-day involvement with The Dominion and/or Media Co-op with breaks away from the organization lasting no more than three months, unless a being granted formal exemption for up to six months as approved by the Board. 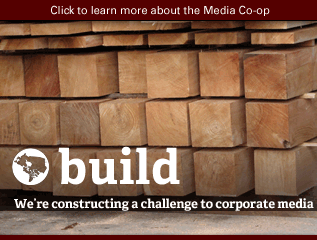 iii) been recognized by a Local Media Co-op editorial committee as having contributed eight hours or more work to the Co-op. b. Contributor Members must pay annual membership dues as set by the board, and be recognized in a motion passed by the Board. 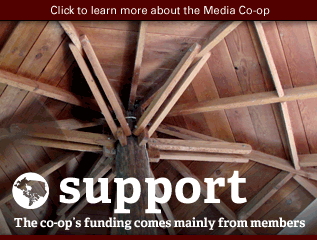 iii) been recognized by a Media Co-op editorial committee as having contributed eight hours or more work to the Co-op. 31. Composition. 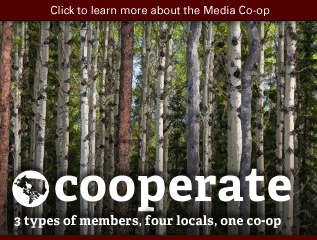 The affairs of the Co-op shall be managed by a Board of Directors consisting of one (1) director elected from the class Reader Members, one (1) director elected from the class of Contributor Members, three (3) directors elected the class of Managing Editor Members, and one (1) member from each officially-recognized local. 31. Composition. 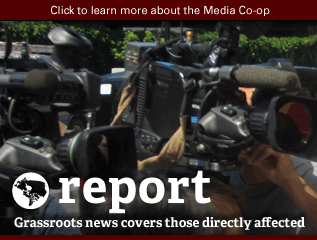 The affairs of the Co-op shall be managed by a Board of Directors consisting of two (2) directors elected from the class Reader Members, two (2) directors elected from the class of Contributor Members, five (5) directors elected the class of Managing Editor Members. a. Each class of members will be eligible to vote for the directors representing their class. b. Members of locals will be eligible to vote for the director representing their local. c. The Co-op will ensure that should the Annual General Meeting be held electronically that members will have an appropriate way to vote and confidentiality will be maintained. b. The Co-op will ensure that should the Annual General Meeting be held electronically that members will have an appropriate way to vote and confidentiality will be maintained. a. The quorum for a meeting of directors is five (5) directors, two (2) of which must be Managing Editor Directors. b. There must be at least four (4) meetings of the directors each year. c. A person may participate in a meeting of the directors or a committee by electronic means. Each participant in such a meeting must be able to communicate with all the others, and is deemed to be present, and to have agreed to participate. d. A resolution approved in writing by all the directors is as valid as if it had been passed at a directors’ meeting. Approval may be by facsimile, electronic mail, or similar method, provided that it is recorded and verifiable. a. The quorum for a meeting of directors is three (3) directors, two (2) of which must be Managing Editor Directors. La Coop Média tiendra son assemblée générale annuelle (AGA) dimanche le 31 mars, 15h00 heure HNE, et vous êtes invité.e.s! Certains conseil d'postes de directeur de cette organisation nationale sera ouverte à l'élection, donc si vous voulez être un représentant de l'éditeur, un représentant de lecteur ou un représentant local pour Montréal ou Vancouver, est maintenant votre chance! 1) Propositions: S'il y a quelque chose en particulier que vous aimeriez discuter durant l'Assemblée générale, laissez-le nous savoir en nous envoyant un courriel avec le titre''Proposition de points pour l’ordre du jour de l'Assemblée générale''. La date limite pour nous envoyer vos points à mettre à l’ordre du jour est le 24 mars.